Thanks to everybody who came to see Cawthray/Price/Zankowski at Leftover Daylight in Toronto and at the Avant-Garde Bar in Ottawa. Special thanks to Jim Reil for organizing such a great night for us in Ottawa. The music — there's about three hours of it — is beautifully performed and recorded and comes with fascinating in-depth liner notes, introduced by Juliet Rózsa (Miklós's daughter) and Martin Scorsese. This is my favorite Rózsa score and a masterpiece. I think you'll hear some sources for John Williams's Indiana Jones music. Why not? Stirring, romantic music of passion and adventure doesn't get any better than this (although passion doesn't come to my mind when considering Spielberg movies. Sentiment, even love, but not passion). 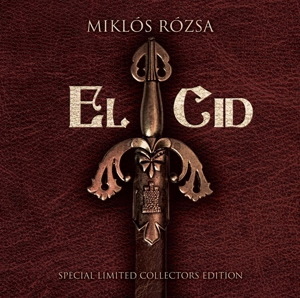 Included with El Cid are a suite of music from Rózsa's score for Double Indemnity, footage of the recording sessions and an interview with conductor Nic Raine and producer James Fitzpatrick.